For those who desire the utmost in elegance and sophistication, ask us about our complete line of high-end charger plates. 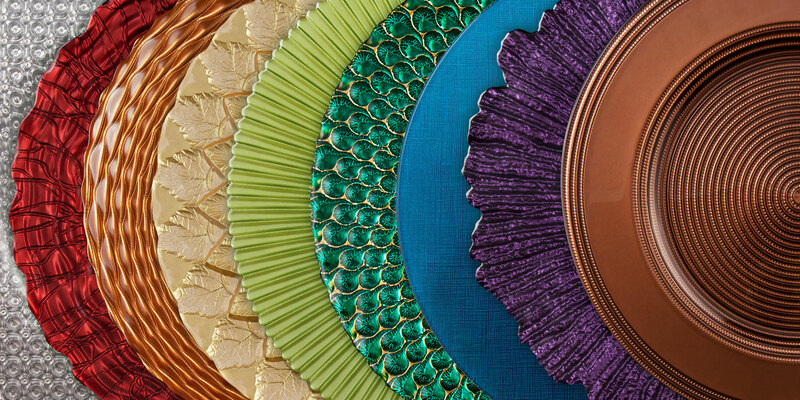 These plates are manufactured in a nearly endless supply of styles and colors. All of our unique plates are food safe and can be used for multiple courses. Whether you favor traditional or contemporary, our plates will make your event tables radiant. To see more, click here and be prepared to be amazed!